At last night's 2018 Saturn Awards, The Last Jedi writer and director Rian Johnson won the award for Best Writing. Since the release of The Last Jedi, a number of Star Wars fans on the Internet have crudely expressed their disdain towards the decisions Johnson made in the movie, so it's not too big of a surprise to know that many of the people on the Internet did not take Johnson's win very well. It's no secret that a large portion of the Star Wars fanbase, specifically the portion that hated The Last Jedi, has become rather unbearable on the Internet over the past 6 months. Rather than just saying they didn't like the movie, a number of fans have resorted to bombarding the cast and crew with hateful messages, blaming them for "ruining the franchise." Additionally, a number of other fans have created petitions to Disney to completely erase The Last Jedi from the Star Wars canon, with a number of other petitions being made to have Disney fire Rian Johnson and Lucasfilm President Kathleen Kennedy. Around the release of Star Wars: The Last Jedi, Lucasfilm announced that Rian Johnson would be helming his own Star Wars trilogy, and these fans are avid to stop this trilogy in its tracks. The hatred that a number of fans have spewed online has led to actresses Daisy Ridley and Kelly Marie Tran completely erasing their social media accounts. For whatever reason, some people blamed the actresses personally for the issues in the movie, while other people hated the actresses because they felt as though giving the Star Wars franchise female heroes was "forced" and "unnatural." Regardless of the reason, the hatred that these fans spewed was crude and unnecessary, and has put a horrible vibe around the entire Star Wars fanbase. 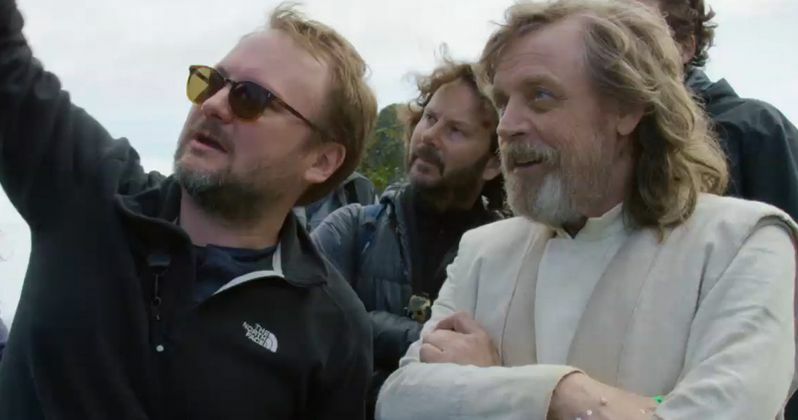 Writer and director Rian Johnson has arguably received more hatred online than anyone else involved with the movie, but Johnson stands strong on social media, even responding to the trolls on a regular basis. Johnson still defends his movie, recently discussing how his decisions made the movie more "personal." Regardless of your personal thoughts on Johnson's decisions in the Star Wars franchise, there's no arguing that he did have some rather genius ideas. The events of The Last Jedi subverted expectations, for better or for worse, which seriously changed the game for the entire franchise. Though his choices may have altered the franchise permanently, there's no denying that his narrative decisions were incredibly genius, still stirring a strong emotional response over 6 months later. The Last Jedi was unlike anything we had ever seen in the franchise before, which, as the Internet has proven, was both a good thing and a bad thing. Since the announcement of Johnson's win at the Saturn Awards last night, a number of Star Wars fans have bombarded Twitter with their reactions, some happy with Johnson's victory, and even more furious with the decision. Below are some of the more notable responses to Rian Johnson winning the Best Writing award last night at the Saturn Awards, including both negative and positive responses. Congratulations, Saturn Awards, for being completely tone deaf and proving that you're not relevant. @SCReviewsmang dude... did you hear? Rian Johnson won best screenplay for The Last Jedi at the Saturn Awards! This news definitely warrants a video. Utterly ridiculous! Wow...so the Saturn Awards mean nothing? Because if this is a winner...I guess not.